Google has surprised its users with the release of Gmail Motion, a supposed new feature of its Gmail email service. Users of Gmail were greeted on April 1 with a notice on the Gmail homepage introducing a new way to communicate. 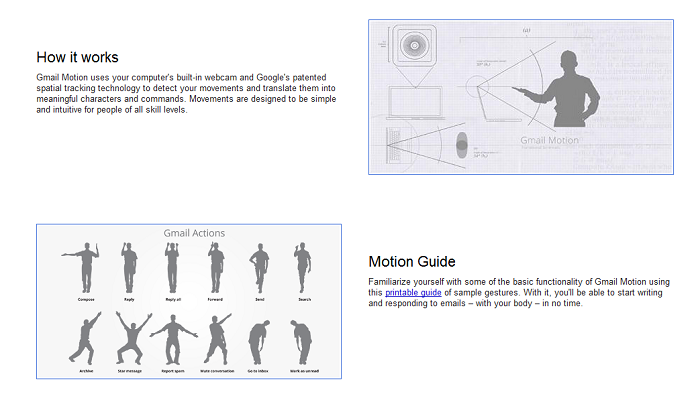 Then there comes an illustration on how Gmail Motion works, that is, use your computer’s built-in webcam and Google’s patented spatial tracking technology to detect your movements and translate them into meaningful characters and commands. 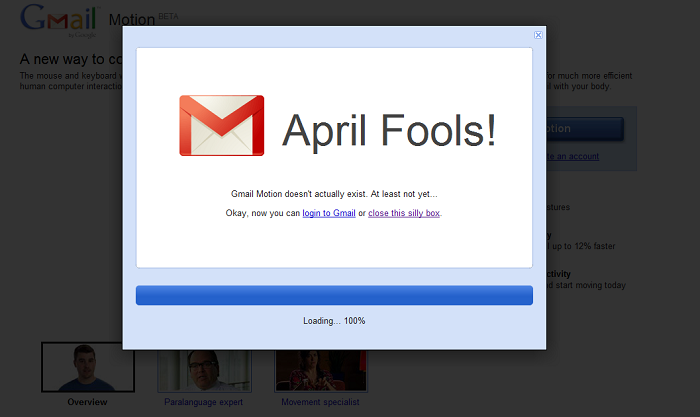 However, once you click on the “Try Gmail Motion” button, you are greeted by this surprising message. The prank is completed by this introductory video. Nice one Google. haha. yeah the spam is laughable. anyways, i almost fell for the prank. like you i was wary of clicking on the link thinking it was april 1st. So I didn’t click the “try gmail motion” link.